The Bring Back Our Girls #BBOG advocacy group has faulted claims by the Nigerian Military that the second returnee Chibok girl, Serah Luka was a Senior Secondary School One student of Government Secondary School, Chibok at the time of her kidnap. The group also disclosed that Miss Luka was never abducted in Chibok, Borno state but in her home, Madagali in Adamawa state. Spokesperson of the group, Sesugh Akume made the clarification in a statement issued on Friday in Abuja. “According to Haruna Mutali, a community leader in Chibok, their background checks have revealed that this second returnee, Miss Serah Luka was an SSS 1 learner at GSS Chibok, who was abducted by the insurgents in her home in Madagali. “Every citizen returned is victory for us all. We appeal to the humanity in us to stay positively focused on emerging developments. We wish to advice caution in disseminating information too promptly, as we appeal that we respect the human dignity of our returnees and their loved ones, as we engage on this topic”, the statement added. 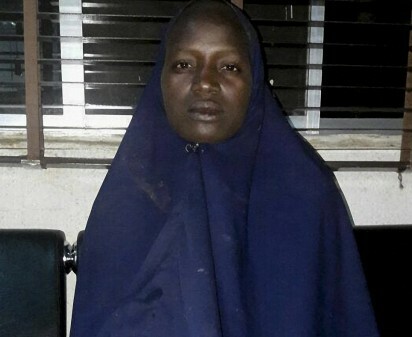 Acting Director, Army Public Relations, Col. Sani Kukasheka Usman had, in a statement on Thursday night, announced the rescue of Miss Luka.